Apply for Oman visa in 3 easy steps! 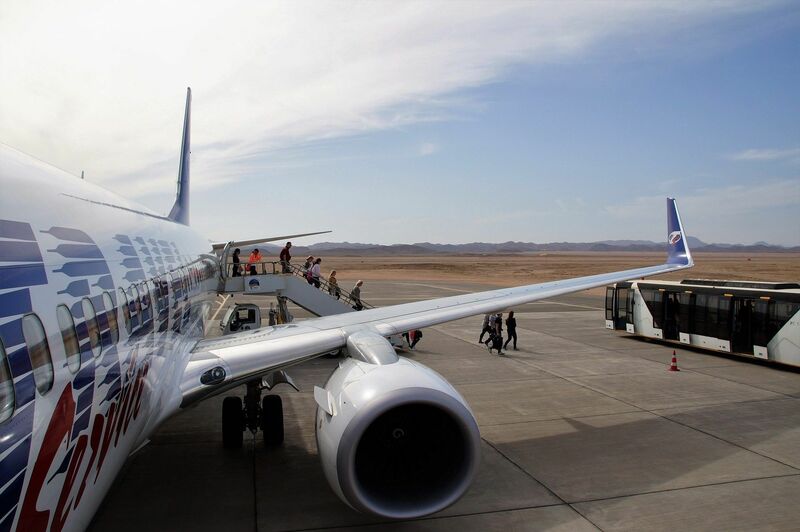 Get eVisa to Oman in 3 esasy steps! Within the global knit counties, the visa is an important agent to get in any country boundary, though there are few rules exceptions, basically which depends on the passport the person is holding. Visas is needed for travel, immigration, work or other purposes if anyone needs to visit Oman. Like every other country, to receive Oman eVisa, a person has to follow certain procedures to acquire it. e-Visa is a form of an electronic or soft copy of the visa. For applying an e-Visa, you just need a simple electronic device to get the work done. No one has to stand in long queues to fill up forms, or wait for their numbers to pop up on the embassy screens, and even paying a huge amount to an agent. The process of e-visa is very simple since any passport holders can apply for an e-visa from any place, just with the help of a computer. To apply for an Oman eVisa online, follow the below mentioned procedures. Now click on the Apply’ button to start the procedure. Once you click on the Apply button, an application page would show up on the screen where you are required to fill up all the necessary information. This information would consist of your personal details, passport documents, a purpose for going and also the kind of visa you are seeking for. Missing out anything or entering incorrect information would lead to a visa rejection, so make sure all the details are filled correctly. Once you have filled the details, you are required to pay the eVisa fees. After paying the fees, once your visa has been approved, you would receive the visa on your email. Get Oman eVisa in 3 easy steps! 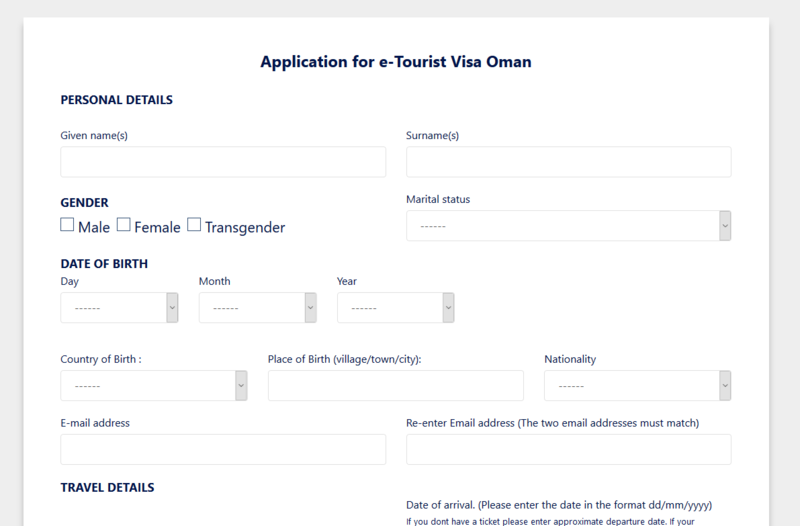 There are certain requirements an applicant has to fulfil for applying for an eVisa of Oman online. They are as follows. The applicant must upload the latest digital copy of their passport size photograph. The applicant should carry a valid passport. A copy of the scanned passport must be uploaded. 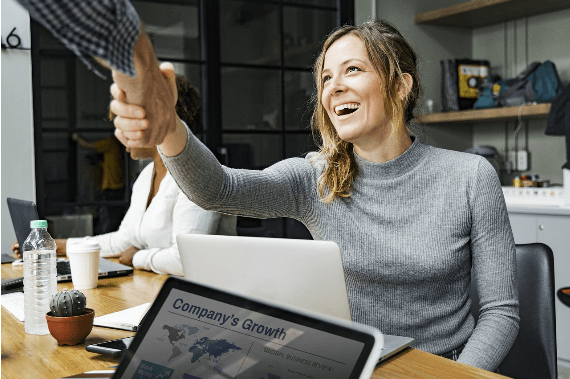 Applicant belonging to certain nationalities must carry a valid visa proof and also a residential permit within one of the following counties (Canada, United States of America, United Kingdom, Schengen, Japan or Australia). The countries include Armenia, Azerbaijan, Bhutan, Costa Rica, Cuba, El Salvador, Belarus, Georgia, Honduras, India, Bosnia and Herzegovina, Kazakhstan, Kyrgyzstan, Maldives, Mexico, Nicaragua, Guatemala, Panama, Peru, Tajikistan, Laos, Turkmenistan, Albania and Uzbekistan. 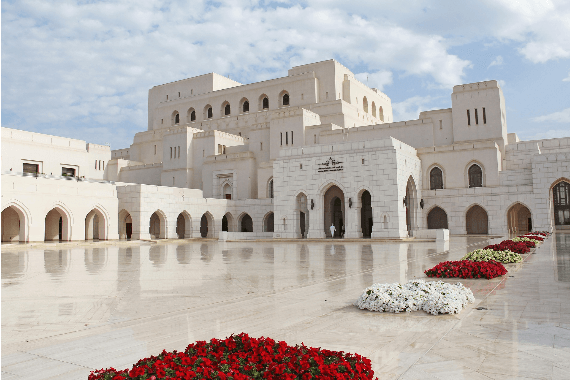 The Oman eVisa must be used by the applicant to enter the boundaries of Oman within a period of 6 months from approval. The eVisa doesn’t require a sponsor from Oman, thus anyone can apply freely and have the required documents. The person who is applying for the Oman eVisa should not have any other kind of visa for Oman. This also means that you could only apply for an Oman eVisa once your valid visa has expired. 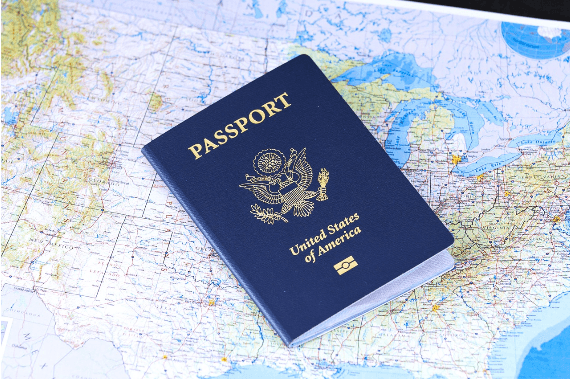 Moreover, one cannot hold both single and multiple eVisa or visas at the same time. 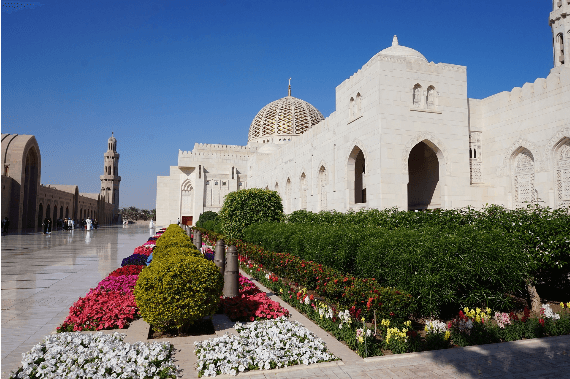 Depending on the kind of work or requirements of the applicant, there are mainly three types of eVisa to travel to Oman. They are Single and Multiple, which also varies on the days or types of entry. 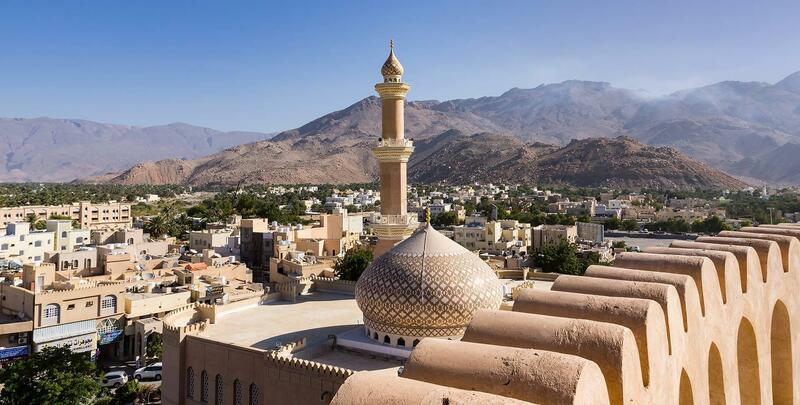 Let us have an in-depth look at all the types of eVisa to Oman. This kind of eVisa is only valid for 10 days. This kind of visa can also be known as a single entry visa because a person is allowed within the boundaries of Oman just once. The visa will be valid for 10 days upon starting the journey, which means that the person can stay in Oman for 10 days. This visa is suitable for tourists. Similar to the earlier mentioned type of visa, this visa is valid only for 30 days. This is also a single entry visa, where the person will be allowed within the boundaries of Oman just once with that visa. The visa will be valid for 30 days upon starting the journey, which means that the person can stay in Oman for 30 days. This visa is also suitable for tourists. This visa is a bit different than the Single type of visa. A person can have multiple entries within the boundaries of Oman, within the 365 days upon starting of the journey. In simple words, a person could come and stay in Oman for a max of 30 days and return back, and then again visit Oman if required, in any time within the year and stay for 30 days. This visa is suitable for businessmen or people who have friends, families or relatives in Oman. We have realized that people face a lot of issues during visa application procedures. Visa applications are quite complex for amateurs and any slight incorrect step might lead to instant rejection. Keeping this problem in mind, we have figured out a way to offer efficient, speedy and easy service to people who want to apply for eVisa to travel Oman. We are a team and a company which aids people to apply for eVisa Oman. 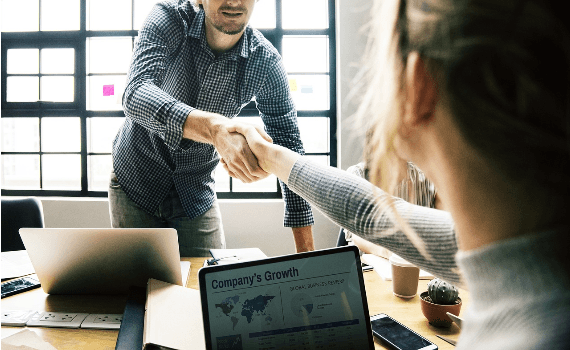 Now forget about the complex rules, norms or problems that come with documentation or while filing forms since we are here to do the job for you. Simply visit our website, check the information that you need and contact us for an efficient service or directly apply through our website. Our service and company is deemed to be perfect for eVisa application processes. We provide easy, speedy and affordable services to people who are not confident or find it tough for applying for an Oman eVisa. Our processing time only takes 24 hours, and within a day you would receive your eVisa on your email. Along with the application processes, we also provide basic consultation services to people before they travel to Oman. This is done to make sure that our customers have a hassle-free journey and enjoy their trip to Oman without facing any issues. We feel that providing honest and reliable services is our duty and you can trust us blindly to get your eVisa approved.